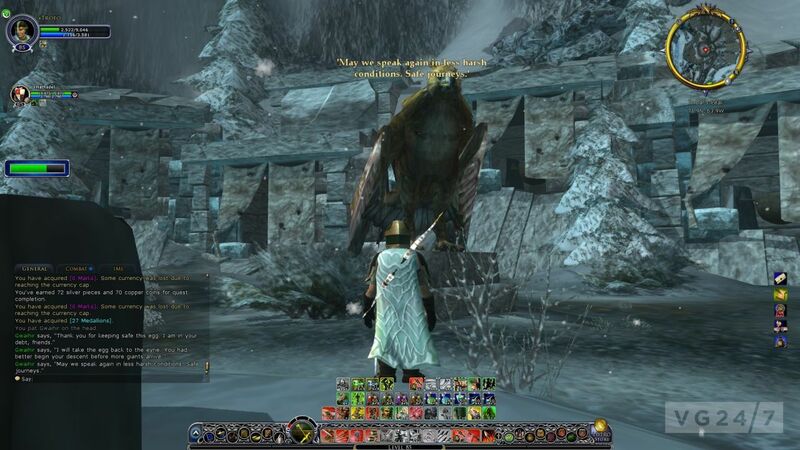 Lord of the Rings Online: Update 9 – Against the Shadow releases today. Stephany Nunneley saddles her horse and rides forth into Middle-earth to see what’s new. 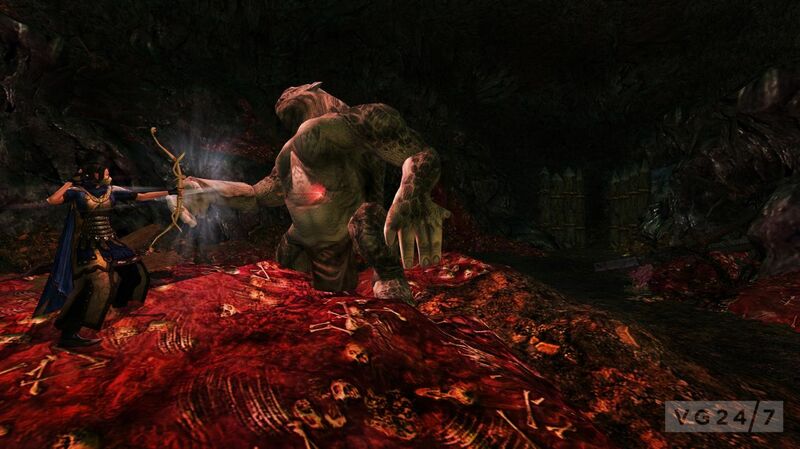 When Lord of the Rings Online’s Riders of Rohan expansion released in October, the inhabitants of Middle-earth were expecting not only the long-awaited addition of mounted combat, but new group instances spread across older, more well-trodden areas. Originally slated for a September release, various factors contributed to the expansion’s delay, and Turbine held back the release of the new instance clusters in order to fine tune them a bit. But group instances aren’t all that’s new. Bree and Moria have both been revamped and the tweaks include more than just a fresh coat of paint; Hobbit-themed content has been added to coincide with the release of the first film in the series; and open-tapping – introduced with Riders of Rohan- is being rolled out across the land. Update 9: Against the Shadow will contain new three-man instances which take players back to the Misty Mountains and Mirkwood, and while the later instance wasn’t available when I had my playthrough with producer Aaron Campbell and digital communications manager Leo Tan, I did get to participate in the two, new Misty Mountains instances. 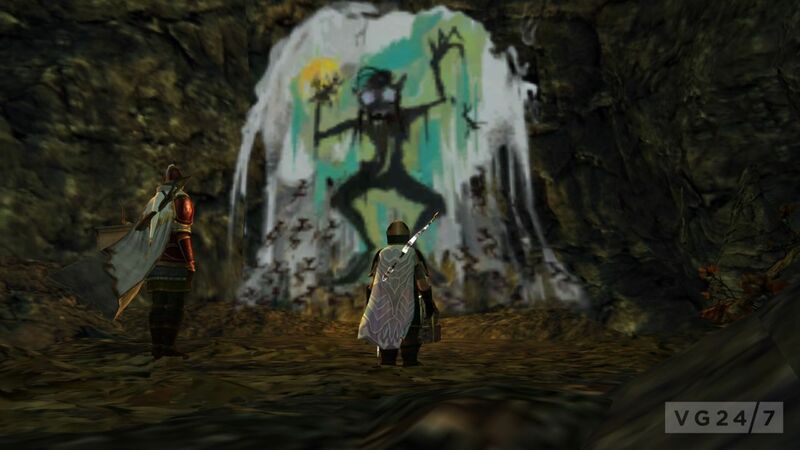 Iorbar’s Peak was the first path we took, and is an instance in which player Fellowships will be tasked with rescuing the Great Eagle Gwaihir’s egg from the clutches of a Stone Giant and his Dourhand companions. 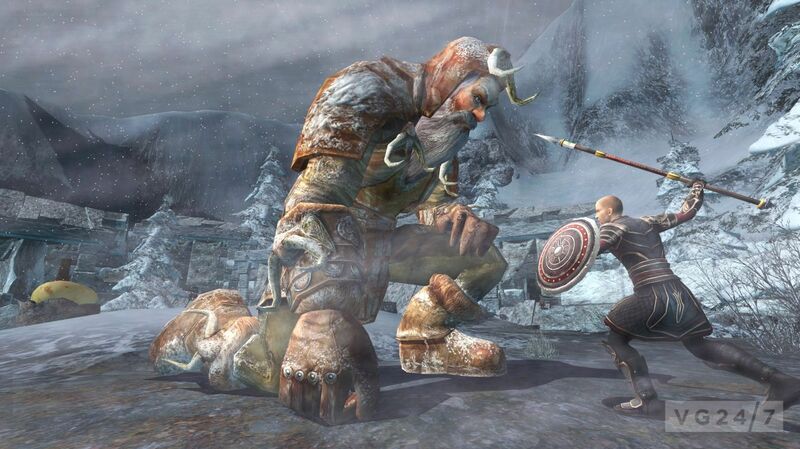 Players will make their way up a mountain path dodging boulders tossed by giants, and waves of Dourhands. 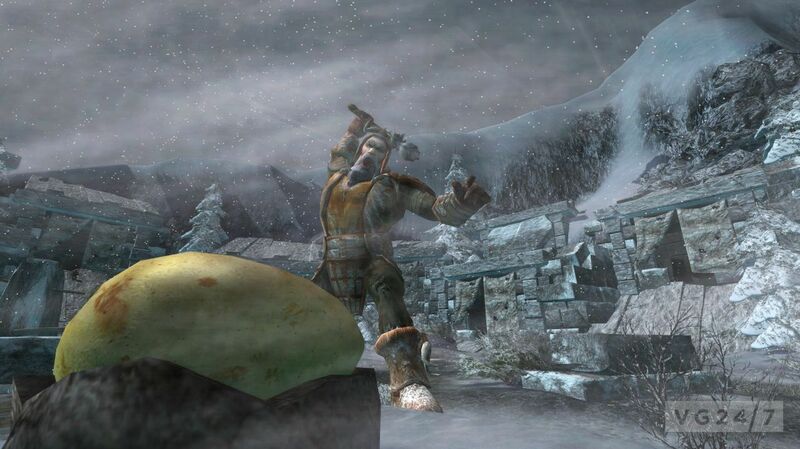 Upon reaching the summit, these nemeses of the Longbeards from Throin’s Hall, are packing powder kegs and you must defeat the dwarves before the egg is destroyed. Players will need to be careful, as any explosion near the egg will crack it. The egg can only take so much damage before it is destroyed and the instance is failed. The main egg thief, a Stone Giant, will start tossing boulders at you, but thankfully you can see where these aerial attacks will land due to a notification on the ground. The circumference of the notification is important to pay attention to: if the outer edges of the circle are close to the egg, the shockwave will damage it. However, players can also use the mechanic to their advantage by leading enemies into the line of fire. Goblin Town was the second instance I participated in, and while the timeframe is before the events in Lord of the Rings, it’s many years after Bilbo ventured there. 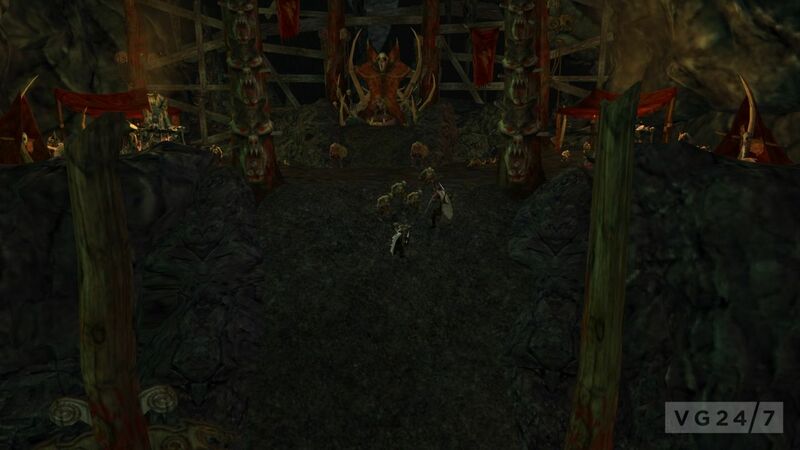 Upon entering, players will notice Goblin Town looks quite different than what they’re used to. In Seat of the Great Goblin, players will venture back into the throne room to defeat the latest incumbent to the throne, making their way through garbage strewn passages, defeating goblins who’ve been living off trash for sustenance over the last 80 odd years. Upon reaching the main seat of the Great Goblin, the ruler kicks the players through a hole in the floor and upon landing will they find themselves in the bowels of Goblin Town. The area is nothing more than a massive trash pit, where a giant troll and goblins who haven’t had the best diet in the world start attacking. Like the aforementioned mechanic in Iorbar’s Peak, players will need to dodge aerial attacks from the troll, which are again, noted on the ground around them. Once the starving troll and his goblin minions are defeated, players will take on the Great Goblin and his lickspittles. Once defeated, a new Great Goblin contender is waiting in the wings and you must defeat him as well, and once he’s ascended to that great trash pile in the sky, yet another contender will arise, until players finally beat all the gumption out of the surrounding would-be rulers. As I mentioned earlier, the third instance wasn’t available for my playthrough, but it will bring players back to Mirkwood during the time Bilbo, Thorin, and their merry band of dwarves ventured through on their way to the Lonely Mountain. If you have read The Hobbit, you will recall the dwarves were captured by spiders and it was up to Bilbo and his magic ring to save his boon companions. Well, that is exactly what Webs of the Scuttledells is – a rescue mission. 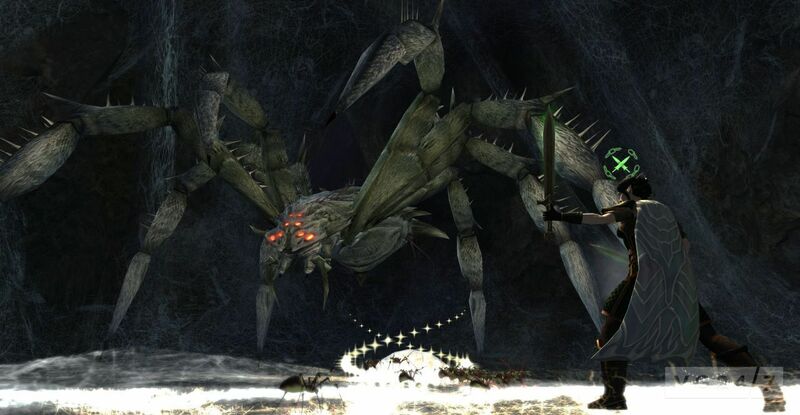 The instance will take players further north into the spider infested region than they’ve been before in the great, dark forest. Players will be tasked with rescuing elves from cocoons, and not all will contain the fairer folk, so be prepared to fight. 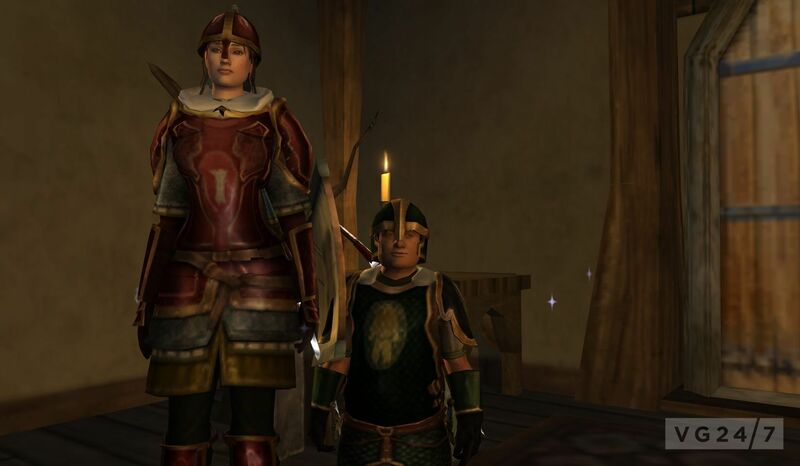 While it’s fun to revisit areas players have already been to, there’s more in the works: another instance cluster is expected to release in February, which will see LOTRO players participating in a six-man instance in Dale. Even better, we’ll finally get to see the Lonely Mountain and take on Smaug via two 12-man raids. Higher ups won’t be the only ones able to access the new instance clusters, as those as low as level 20 will also be able to participate. New instances are just the start of the content included with Update 9, as many familiar locations have also been re-worked, giving veteran and new players alike something to gawp at. While I didn’t get to have a look at it, I was told Bree-town has been given a fresh coat of paint, has new neighborhoods around the wall surrounding the city, and animated inhabitants will make the town feel more alive. Instances in Mirkwood’s Dol Guldur have been updated as well, are now scaleable to level 85 and feature item drops pertaining to level. 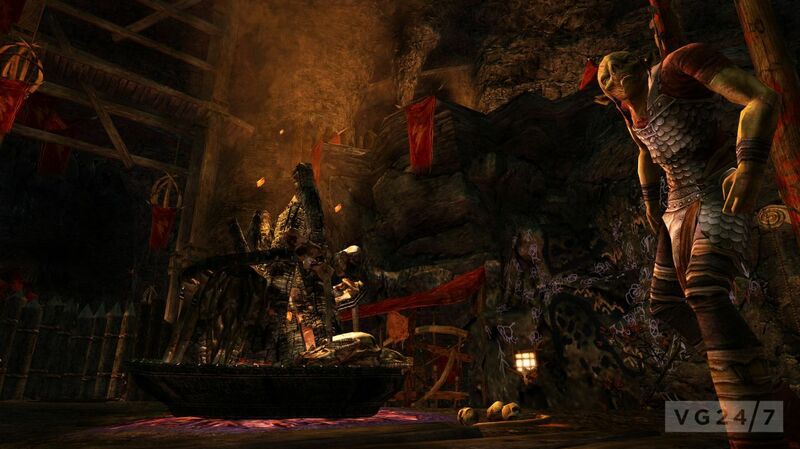 The largest overhaul, however, has been given to the game’s first retail expansion in which players descended into the underground dwarven complex of Moria. Along with a bit of spit and polish, older quests in this massive area are now more clean-cut, and less disorganized, so players returning to the area will notice the questlines with better flow. 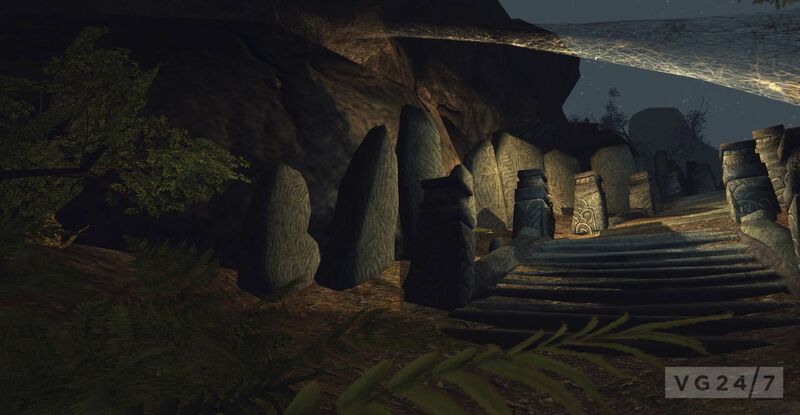 Areas of the expansion which seemed devoid of quests have been overhauled as well, so should you venture back into the depths, you’ll find 70 new quests have been added. A number of quests were also replaced or removed entirely due to not being up to “current design standards,” but this also means there will be less back-and-forth between quest areas. Monster density has also been been thinned a bit, and by Durin’s beard! – that’s really good news, indeed. 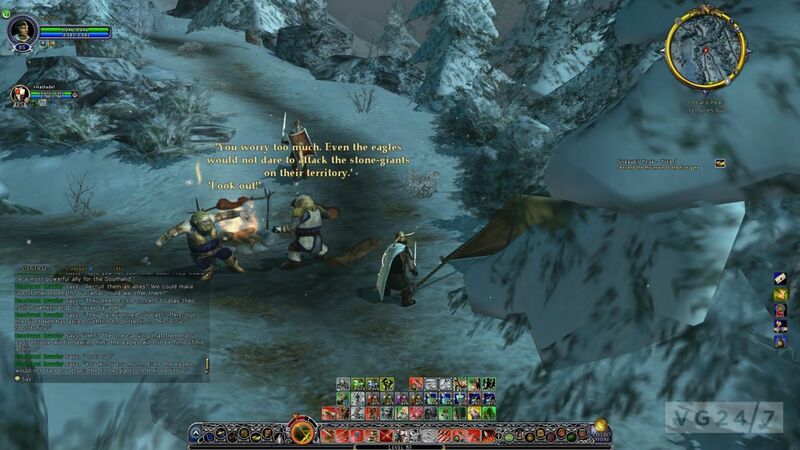 Remote quest looting and bestowals along with open tapping, introduced with Riders of Rohan, have also be been implemented across all areas of the game. Remote looting will also affect rolling on loot culled from boss chests in instances, giving players the opportunity to win a rare item. Before, players would roll and only one player would get the item, but now, all players in the group have a better chance at sweet, sweet loot. This is a nice touch because, speaking from experience, some players just don’t have Hobbit’s luck on their side when it comes to rolling the imaginary dice. Another nice change to the loot rules, is that each character will only be able to roll on class-specific items. This will keep pesky Burglars in your group from rolling on that nice cross bow your Hunter so desperately wants. Travel to Quest Objective is another new feature, which will show a ring in the Quest Tracker next to quests eligible for travelling immediately to. The feature will be available for most quests which require a player to have a chat with an NPC hellbent on telling you his sob story. The feature was designed to make it easier to return the quest-giver, saving your back and your horses legs from having to travel clear across a zone or begging a Hunter in chat for a port to the closest town. Hopefully all the streamlining and re-working will be a hit with new and returning players, and I have to admit, the thing I am most excited for is game-wide remote looting, quest bestowal and open tapping features. It’s been a long time coming. I also have to say that even though I have out-leveled Moria, I plan on entering the sunless caverns just to see how things have changed. 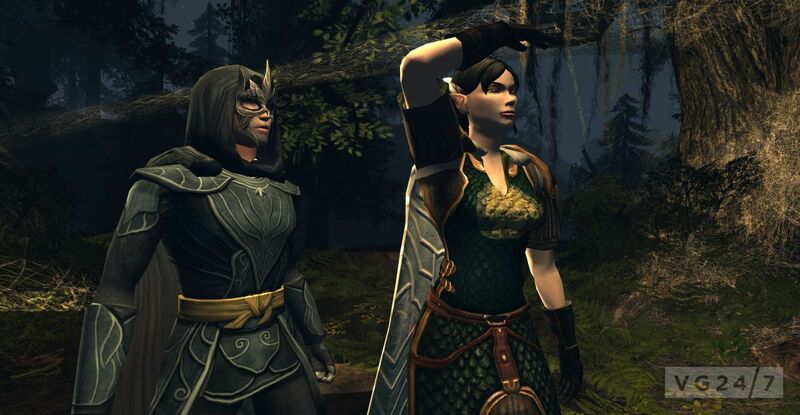 Lord of the Rings Online: Update 9 – Against the Shadow releases today, and patch notes will be available while you wait for the servers to come back up. New screenshots are below, mixed in with a few I took during my playthrough. I played a Hobbit hunter and Leo, my intrepid companion, played a Guardian.